Justin Bieber has been blamed for a huge influx of visitors to a canyon in Iceland. 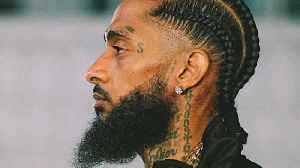 Rapper Nipsey Hussle was killed yesterday at just 33 years old.And since the news of his passing has spread…TONS of celebs from Kylie Jenner to Justin Bieber to Cardi B and many more have been..
Justin Bieber REVEALS How Many Babies He Wants With Hailey Baldwin! Justin Bieber may have a LOT going on right now but that’s not stopping him from catching a fever...baby fever that is. The Biebs reportedly already knows HOW many kids he wants with Hailey…and I..
Khloe Kardashian sends Jordyn Woods a shady instagram message. Plus Justin Bieber has babies on the brain…we have the details on how many kids he plans to have with hailey. Finally Kylie Jenner had..